Legalization and ending prohibition is the ultimate goal for the cannabis movement. Over the past decade, we’ve watched many states attempt and succeed in overturning prohibition for medical cannabis, with a handful of states following that up with recreational legalization after years of proven medical success. The amendment proposed by the ResponsibleOhio group to legalize both medical and recreational cannabis in Ohio has been controversial from the get-go. Sure, it’s started a much-needed conversation around legalization in a swing state. But the group’s methods and processes have lacked transparency, organization, and nuance at almost every level. 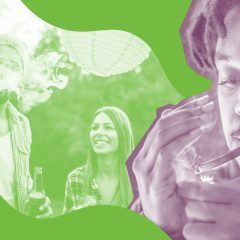 For ResponsibleOhio, their intentions and end goal may be good, but their process for legalization leaves much to be desired. Here are five ways the group has tripped up along its path to November. The ResponsibleOhio proposal is unlike any other legalization proposal which has been introduced in the U.S., in that it tries to legalize both recreational and medicinal cannabis at once. In other cases such as Colorado and Washington, the state has started by legalizing medical marijuana, and then, once a robust medical cannabis market and structure exists, seeks to pass recreational cannabis. The ResponsibleOhio proposal merges these two steps into one. The tax revenue Redman speaks of, projected at $500 million annually based on Ohio’s consumption rates, will go directly to local municipalities to support roadwork, infrastructure, mental health, and addiction services, as well as to local counties and townships to help with enforcement. But the danger of deploying both medical and recreational at once is that the system doesn’t get a chance to make corrections to help patients before rolling out to a broader recreational market. It also makes it more difficult for patient needs to be prioritized as they get mixed in with the potential logistical issues involved with a recreational roll-out. Under ResponsibleOhio’s proposal, the only businesses which will be allowed to legally produce cannabis will be 10 licensed growing operations owned and operated exclusively by the investors funding the ResponsibleOhio campaign. This is unusual, to say the least, when compared to approaches by other states. In ResponsibleOhio’s vision of the future, the Marijuana Control Commission, an entity which would be created by the initiative, may reevaluate the supply and demand of the state in order to add more licenses. The Marijuana Control Commission would operate in a similar fashion to a Liquor Control Board, composed of seven members to be appointed by the governor. However, at this stage, there are no promises or arrangements to expand the licenses to include anybody outside of the original investor group. This closed environment could not just hinder business growth, but could discourage entrance into the field from established medical stakeholders, the sort of people who have been pivotal in the development of Colorado and Washington cannabis markets. ResponsibleOhio has been plagued with questions about their administrative process from the very beginning. The group spent approximately $2.4 million on signature gathering for the initiative, and while roughly 700,000 signatures were turned in by a July deadline, more than half of the signatures (about 400,000) were deemed invalid. The campaign was given an extra 10 days to meet the number of signatures needed, and they were able to turn in 95,572 signatures to surpass the minimum requirement. Ohio Secretary of State Jon Husted, whose office was charged with verifying the authenticity of these signatures, requested subpoenas due to the significant disparities between the number of signatures collected and the actual number of signatures that could be verified. After investigation, it was determined that many of the signatures that were submitted had been collected from knowingly fraudulent sources – deceased voters, minors, and multiple signatures from the same registered voters. 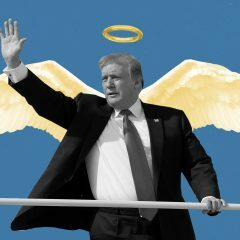 The campaign’s investor group is comprised of Ohio’s elite and local celebrities, featuring sports figures Frostee Rucker and Oscar Robertson; fashion designer Nanette Lepore, of Youngstown fame; and former boy band heartthrob Nick Lachey, from 98 Degrees. The rest of the group is made up of local businesspeople from the real estate, construction, and philanthropy sectors. This breadth of experience represents a very different picture than previous legalization proposals across the U.S. In other states, the list of requirements for potential ground-level investors has been exhausting and far-reaching, particularly when it comes to the medical side of the business. Within ResponsibleOhio, the only investor with medical experience appears to be Dr. Suresh Gupta, a local pain management physician and anesthesiologist in Dayton, Ohio. Gupta purchased a 35-acre plot of land in Licking County in January for $282,000 and will be donating 90% of the site to be used for cannabis production in Pataskala. Gupta has faced five medical malpractice claims, two personal injury lawsuits, and multiple business lawsuits throughout his career. In 2008, he faced charges of gross sexual misconduct from four previous female patients, charges of which he was later acquitted. He has also been disqualified from participating in clinical investigations by the Food and Drug Administration after it was found that he submitted false information, failed to oversee investigations, and failed to protect subjects. 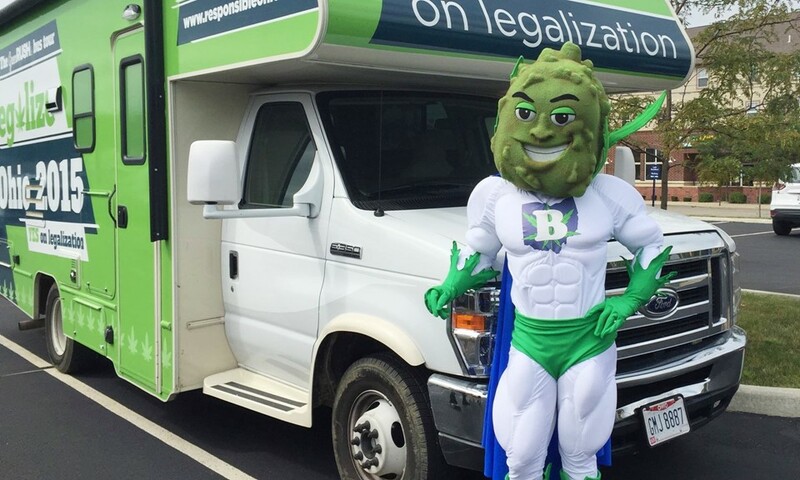 One more source of contention among opposition groups is ResponsibleOhio’s fuzzy green mascot, “Buddie,” which has drawn comparisons to Joe Camel, the Camel cigarettes mascot that was eventually ruled as being targeted at kids. Buddie is essentially a man made out of cannabis, clad in a white superhero outfit and sporting bulging muscles. Although Buddie strictly attends adult-only events, his presence is uncomfortably close to a cartoonish figure that appeals to children and it’s been widely seen as a bad public relations move for the campaign. As advocate groups began to decry the limitation of production and distribution to just the wealthy investors of ResponsibleOhio, Ohio Legislature placed House Joint Resolution 4 on the November ballot. This measure would “prohibit monopolies, oligopolies and cartels, conferring a commercial interest, right or license to another person or entity that is not available to similarly situated entities from being written into the Ohio Constitution,” which is precisely what ResponsibleOhio is attempting to do. Put simply, this means that even if ResponsibleOhio were to pass in November, House Joint Resolution 4 could immediately stop it from going into effect if the resolution receives more votes than the ResponsibleOhio amendment. It’s not just the government that is taking steps to combat the moves of ResponsibleOhio. The proposal has spurred several opposition groups, including the Citizens Against ResponsibleOhio and Responsible Ohioans Against ResponsibleOhio. In 2009, Ohio voted to approve an amendment to legalize gambling, creating a monopoly for those who invested in the construction efforts for casinos. Due to this, Weaver says, Ohio voters have seen the consequences of creating a legal monopoly and many are reluctant to vote in favor of another monopoly for cannabis. “It’s a hyper-restrictive policy and, not only that, it is incredibly hard to change an amendment to the state constitution,” he says. 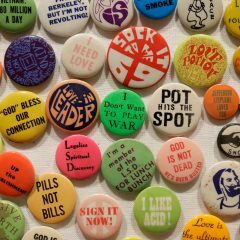 Citizens Against ResponsibleOhio has also urged residents to vote no on the proposal, favoring an alternative legalization group, Ohio To End Prohibition (OTEP) or Legalize Ohio 2016, which is pushing for a recreational and medical legalization measure to be on the 2016 general election ballot. Regardless of the result in November, the future of cannabis legalization in Ohio seems more problematic than the already very complicated process needs to be. What’s clear, however, is that other states can learn from this experience to build more ethical, robust, and inclusive legalization initiatives in the years to come.